Christian is an Adman who led in the last 15 years two of the most successful network-agencies in Austria. TBWA and Ogilvy in Vienna. With his team, Christian won several Cannes Lions, Euro Effie in Gold and more than 200 national and international awards. Christian treats advertising less like a campaign, rather as a method of creating meaningful connections between the consumers and the brands. 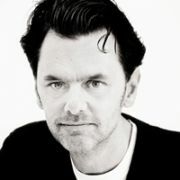 Christian is now managing director at DDFG, one of Austria´s leading, independent agency. In his 25 years of experience, Christian has worked with brands such as Bank Austria, Raiffeisen Bank, Beiersdorf/Nivea, Media Markt, Henkel/Persil, Pedigree, Whiskas, Absolut Vodka, Ferrero, Bacardi, Austrian Tourism Board and “experiential brands” such as PlayStation, Adidas and BMW.